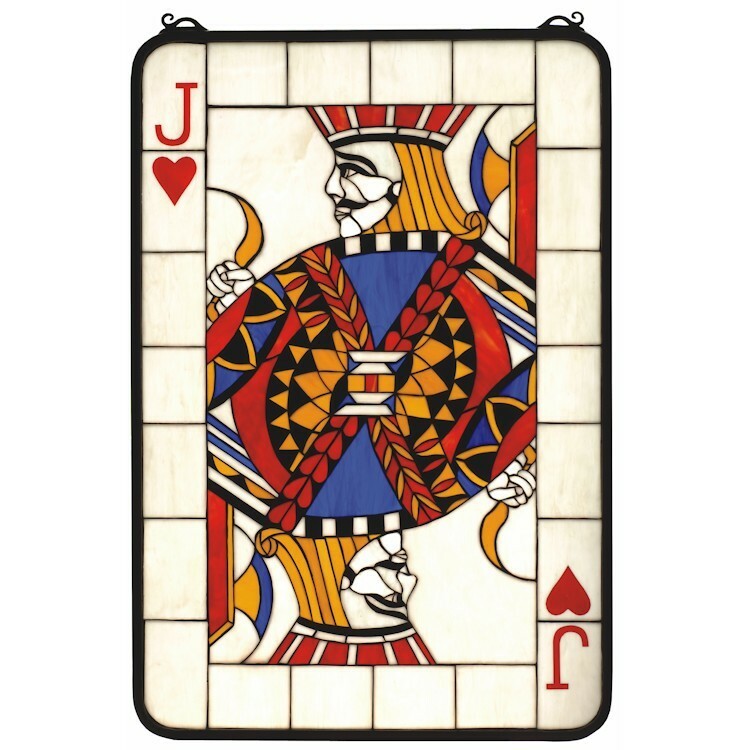 The Jack of Hearts is always your best bet with this original poker card design window. Etched and inlay painted letter and heart and an intricately detailed Jack in High Hand Black, Bankroll Blue and Poker Chip Red glass are at the center of this Bidding Beige window. 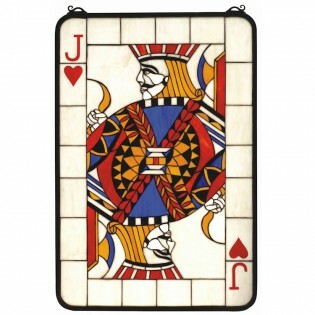 The Jack of Hearts is always your best bet with this original poker card design window. Etched and inlay painted letter and heart and an intricately detailed Jack in High Hand Black, Bankroll Blue and Poker Chip Red glass are at the center of this Bidding Beige window. The Jack of Hearts Window Stained Glass Window is handcrafted utilizing the copperfoil construction process and 411 pieces of stained art glass encased in a solid brass frame.